I say this a lot, but man am I excited about this next edition of ONe-On-1! Up next is Ms. Priscilla Raine! You may know her from her latest single "Dumb Dumb Boy," or from her cover of Nick Jonas' "Who I Am," either way, you're in for a treat! I had the pleasure of speaking with Priscilla about her music, life and her motivation to keep going. Sit back and get ready for a very inspirational ONe-On-1 exclusive with Priscilla Raine! 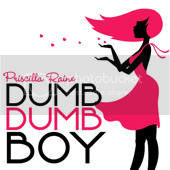 Check out Priscilla's latest single "Dumb Dumb Boy!" Priscilla! I'm so happy to have you! I've been waiting a long time to speak with you, and I'm so glad that I've finally got the chance! Let's get right into it! The most obvious question would be, how did you get your start in music, what inspired you? Music started at a very early age in my life. I sang as a toddler and by the time I was 5-years-old, I was singing solos on my church platform. I guess you can say it was never really a choice, rather a part of who I was and still am. I felt the need to share that part of me with everyone at church, and it was there that I not only developed as a person, but also cultivated this musical gift I believe was given to me by God. He has inspired me to pursue this career and fulfill my dreams. That's an awesome answer. You touched on my next question a little bit already, but maybe we can elaborate a little bit. You obviously believe in God, but what role does he play in your life? Yes, I am a firm believer in God. There is no doubt that He has placed me where I am, given me the family that I have, and put me in the situations that I have been through for a reason. When I look back on my life I didn't understand why certain things had to happen the way they did, but now, it all makes sense and I'm grateful He did things His way rather than mine. Knowing this, I believe that God's hand is over my life guiding me into the future that He has planned for my life. Beautiful. I know that can be considered a very personal question, thank you for answering. So let's get to the music, who are some of your biggest influences in life and music as well? In life, my family/"team" have always influenced me. From what I wear to what I sing, we approach everything together and as a unit we make decisions together, I value their opinion and trust those closest to me fully. In music, I have always looked up to the greats such as Luther Vandross, Boyz 2 Men, Whitney Houston, and Celine Dion, to name a few. These are artists who perfected their gifts and never compromised. They truly were talented and awesome role models. Today, however, we are lacking the Celine Dion's of the world. The business has been consumed with vulgar lyrics and racy fashions. Autotunes has taken over and I think it is so sad that young people have not had the chance to experience pure music. I think it is even more troubling that young people are looking up to artists who are more concerned with their definitions of art rather than being role models. I have never agreed with that mentality nor has my team. For that reason and many others, I aspire to be a positive influence just like the greats from earlier decades have been for me. I completely agree, and you hit the nail on the head with that answer. That's exactly why I started LivingTru.com, we need more positive music role models in the forefront. Now, I have to say, I've had your cover of "Who I am" on repeat since the very first time I heard it! Did Nick Jonas ever reach out to you regarding it? Who I Am always brings great memories. It was one of the first decisions that were made collectively as a team. We all did our part, and the results were pure magic. It got a lot of attention including the Jonas crew. Not only was it listed as one of their favorite covers, but we received personal feedback from his team confirming that we did something really great. Like all things in life, it’s always nice to see your hard work pay off. Agreed! You really couldn't have done a better job on that cover, it was brilliant! So, Are you currently working on an album or any other projects? What do we have to look forward to? Yes, I am working on an album that will rock your socks! To be completely honest, this entire year has been a whirl wind, and I love that I am in the studio every week laying down a track, writing new songs, and doing what I love. I have a new song called Dumb Dumb Boy which was just released on itunes. It’s a great dance track and I look forward to getting out there and performing for my fans. Cool! I love that song! Guys, make sure you purchase "Dumb Dumb Boy" on iTunes! So, let's get off the music for a sec. As far as society is concerned, what changes do you hope to see over your lifetime? I kind of talked about this a little bit before, but my greatest hope for society would be love. I know that sounds cliché but it's true. I'm not talking about the kind of love found in a boyfriend or girlfriend. I'm talking about doing the right thing by others. Look around you. The world is falling a part. We are in constant war, natural disasters are becoming more and more prevalent; and young kids are killing themselves more each year because of bullying. We need to make a change. First, by understanding that no matter who you are, you are influencing someone. You can influence someone to do good or bad, and if you don't want to be a role model, than too bad because somewhere out there, someone is looking at you. We need to encourage society to do the right thing by eliminating hate and replacing it with forgiveness, acceptance, and love. Priscilla, I can honestly say that you've given me some of the best answers to these questions. It's nice to know that other people care about our society just as much as I do. Especially those that are in the forefront. While we're on the current state of things, how do you feel about the current state of music, and the industry? I miss real music. I mean, I miss the days when ballads were played on the radio and artists could actually sing live. Don't get me wrong, I love pop and dance music. Beyonce and Usher are some of my favorites because they have combined today's current trends with actual musical talent. They're fashion forward, great dancers, and sing the heck out of any song. The more I listen to the radio, however, the more I'm seeing artists like these fade away. I hope that the industry will stop praising mediocrity and start recognizing talent. Me too! I believe we'll get back to the basics one day. Hopefully people will get tired of mediocrity, and go back to the original formula which was all about good music, and actual talent. The Industry is growing and the newer artists are getting younger and younger, what advice would you give to someone wishing to pursue a career in music, or any other field of their choice? Go for it! And don't give up. This career is not easy and it definitely has its ups and downs, but if you love what you do, go for it. Don't forfeit your dream for something that seems easier. More importantly, don't abort your destiny. Excellent advice! So I have 2 more questions for you, after hearing all of your answers and seeing how level-headed you are, I have to know, what keeps you so grounded? My family keeps me grounded. I am surrounded by a lot of "real people." They always encourage and praise me, but they are not afraid to tell me I got it wrong and try again. That's good, we all need a strong support system backing us up. Honesty is key when you're putting yourself out there the way that you and any other artist does. It's been great talking to you Priscilla, this is my last question and I'll let you go, what do you want your music to do for others? I want my music to bring people joy. I hope it will inspire people to live their lives as it was meant to be. Priscilla, it's been an absolute pleasure! I can't wait for everything that you have coming up, please keep us updated on your success! Guys be sure to connect with Priscilla on all of her social networks, and check out her cover of Nick Jonas' "Who I Am"! And Priscilla remember to shout us out at www.LivingTru.com! Check out this awesome cover of Nick Jonas' "Who I Am" by Priscilla Raine! And don't forget to check back with www.LivingTru.com frequently, for new One-On-1 Exclusive's with some of your favorite artists! All photos and videos courtesy of Priscilla Raine. Review and One-On-1 Exclusive by Arionna Jai.